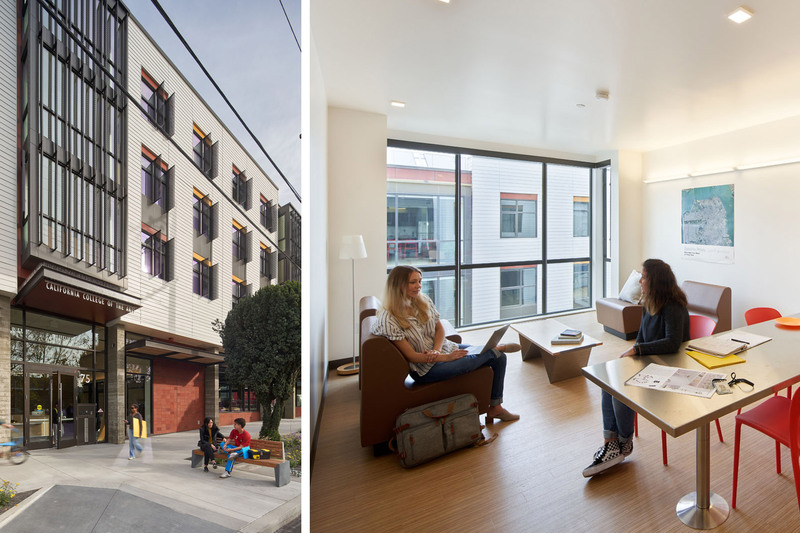 New student apartments at 75 Arkansas Street in Potrero Hill provides affordable housing for up to 200 students at the California College of the Arts (CCA). 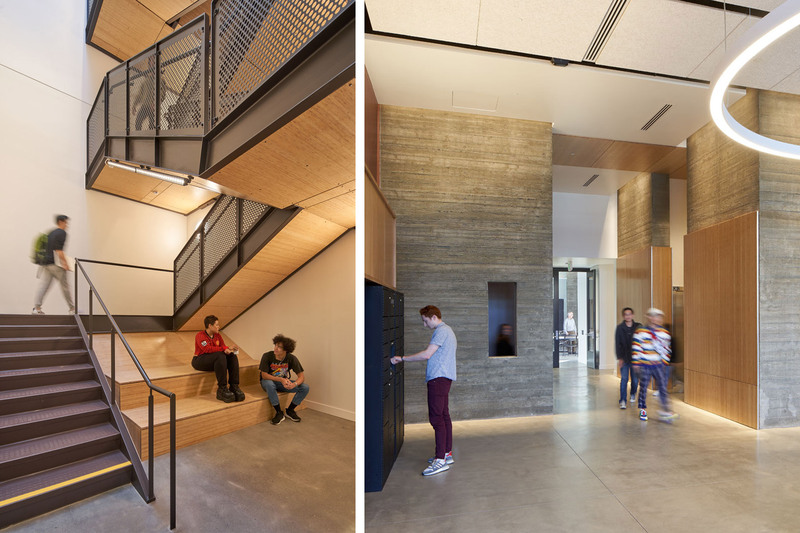 The project is designed to alleviate the economic hardship students face due to the housing crisis in San Francisco, while providing a healthy living/learning environment with community benefits. This high-density, mixed-use development combines affordable four-bedroom student apartments, multiuse spaces, retail and internal courtyards on a compact urban site. The project site is at the edge of a large scale semi-industrial arts district to the north and the smaller scale Potrero Hill residential neighborhood to the south. The building was designed to transition between both scales, as one large institutional building, while also illustrating the distinct residential units through projecting bays. Located less than three blocks from the CCA campus and across from a city park, Blattner Hall integrates the campus into the neighborhood. In a series of wings, the apartments are organized around a central lobby, common room, laundry room and daylit open stair connected by airy, light-filled hallways with views of San Francisco. 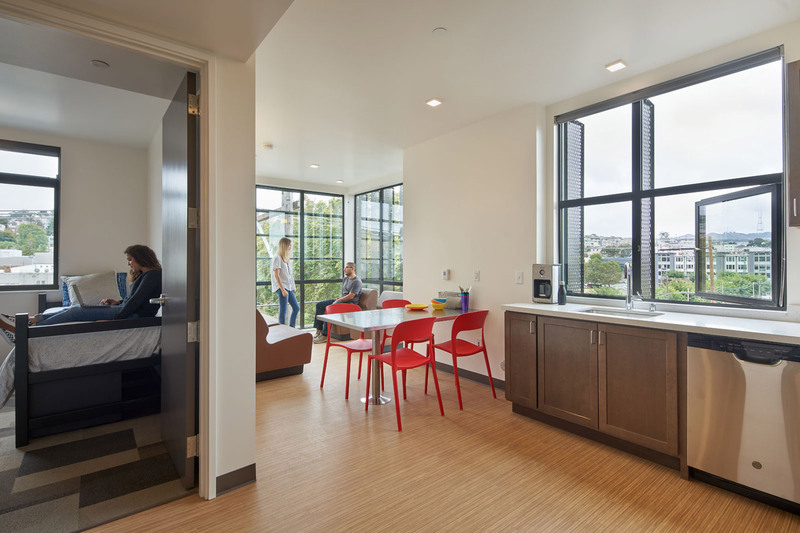 The three upper residential floors are designed as apartment-style student housing: each unit includes four bedrooms, two bathrooms, a central eat-in kitchen and a living room with full-height windows in a projecting bay. Study nooks outside of the bedrooms provide creative use of the hallway space, maximizing use of the generous layouts. Blattner Hall meets the 2030 Commitment by using 75% less energy than a standard, comparable building. 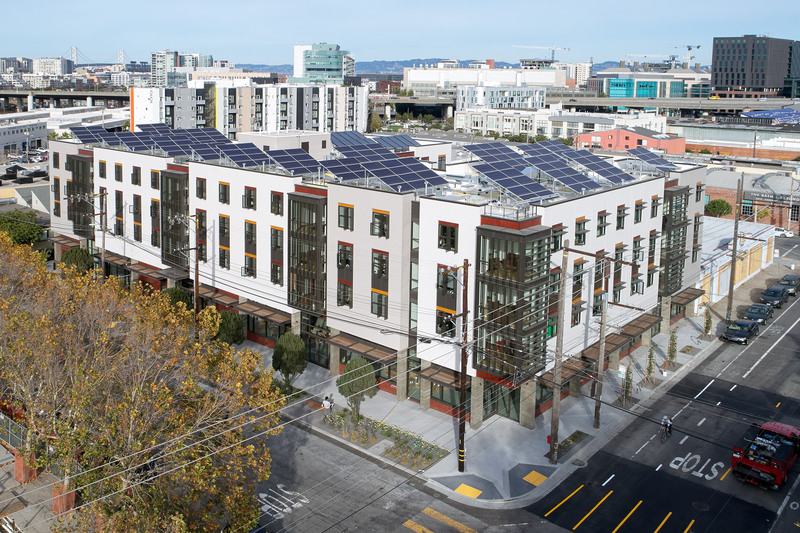 Sustainable design strategies include a high performance building enclosure and rainscreen, exterior sunshades, rooftop solar photovoltaic panels, natural ventilation and energy efficient lighting. 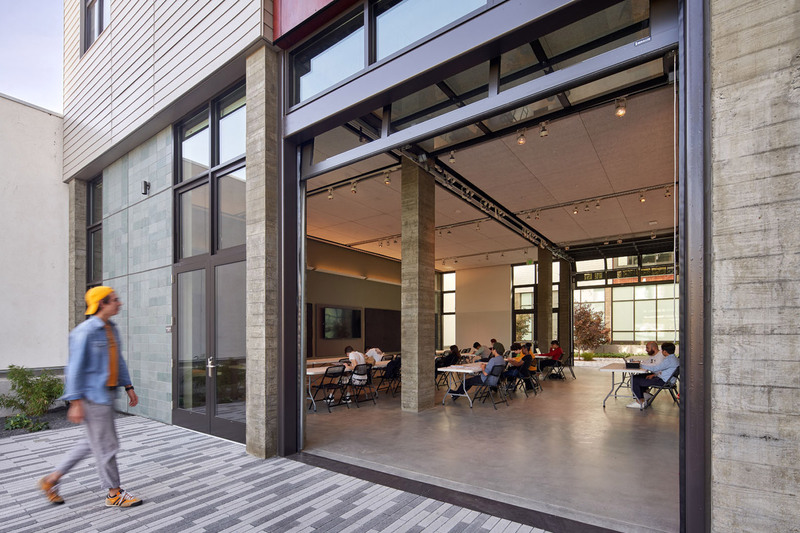 This former industrial site has been transformed into a healthy living and learning environment, while also placing students at the heart of the neighborhood.